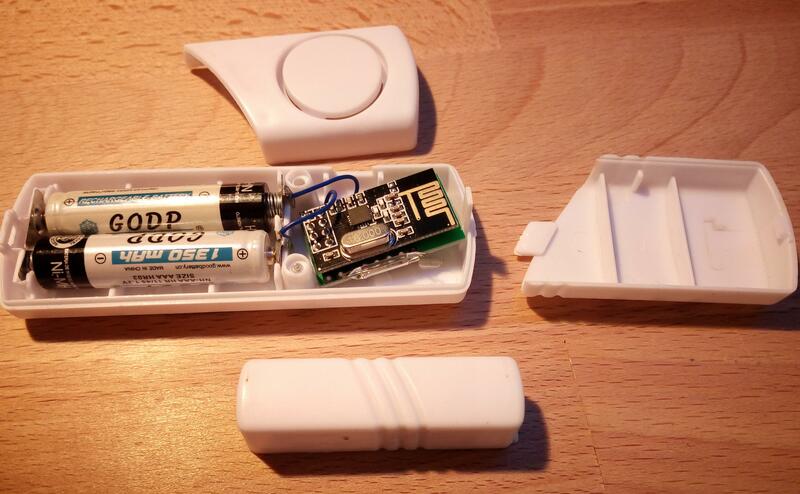 This Window Open Sensor (WOS) has a great WAF because it makes use of a nice case, harvested from a very cheap window alarm. 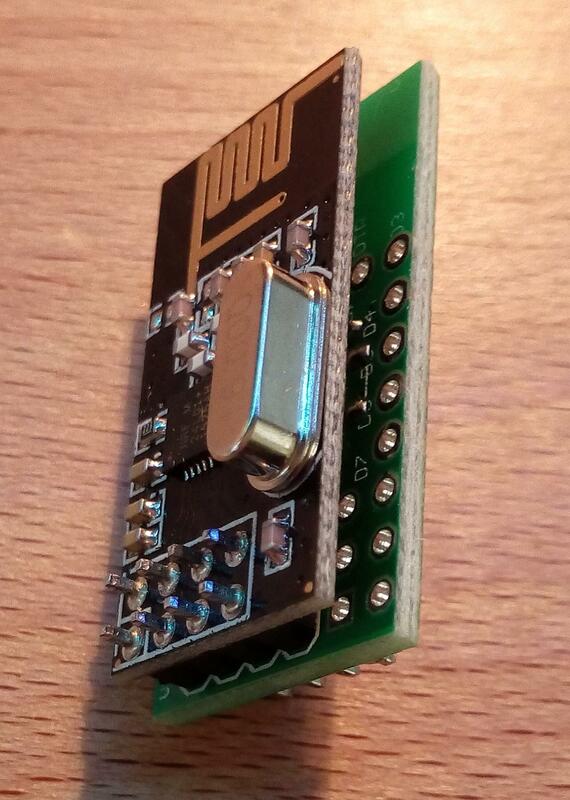 This alarm module holds two AAA batteries and has a switch, a buzzer, a magnet and a reed contact. 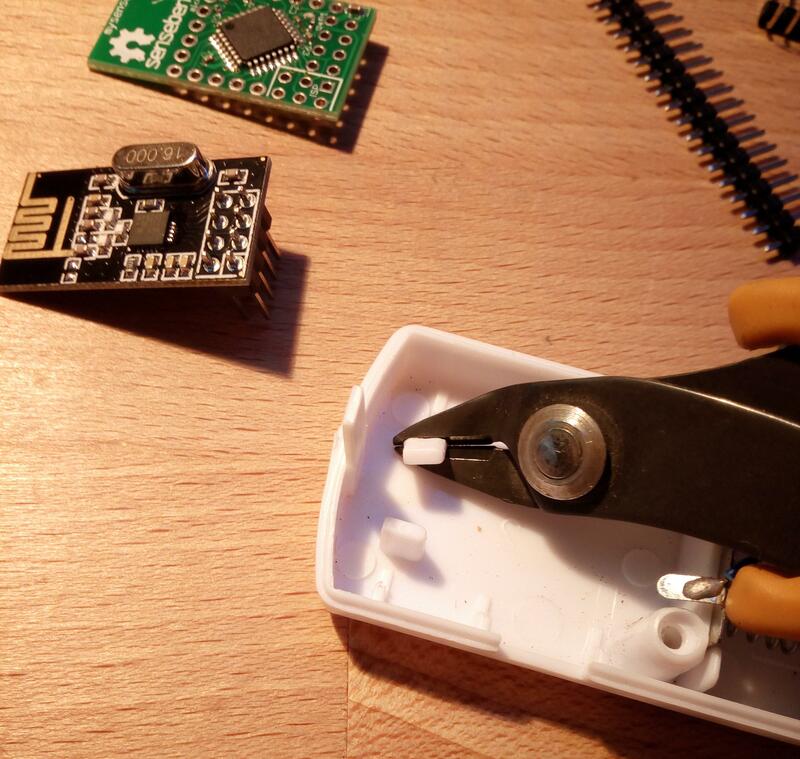 We remove the electronics, the buzzer and the switch. 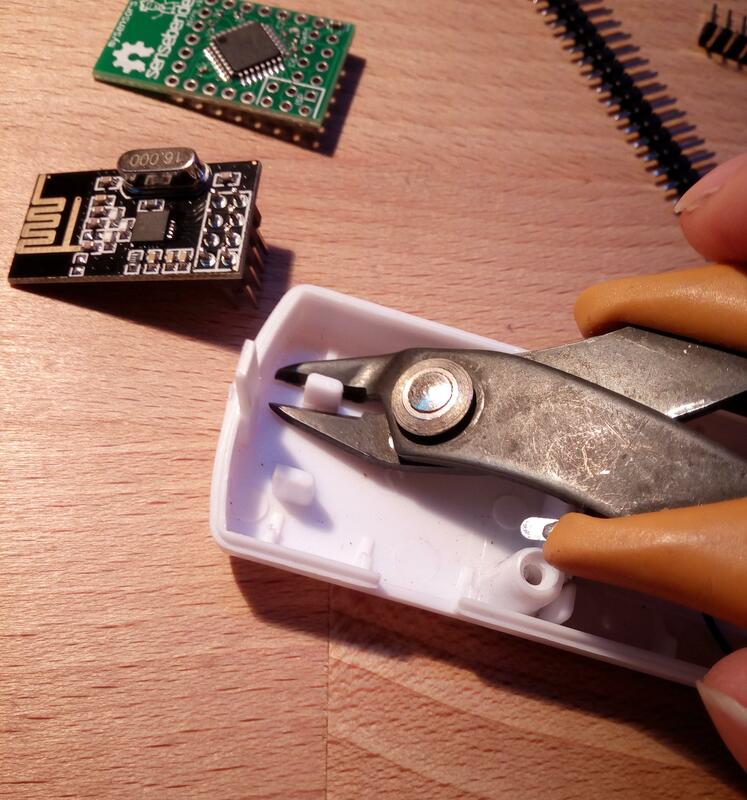 Then we replace the electronics with a Sensebender with NRF24L01+ module, which just fits inside. 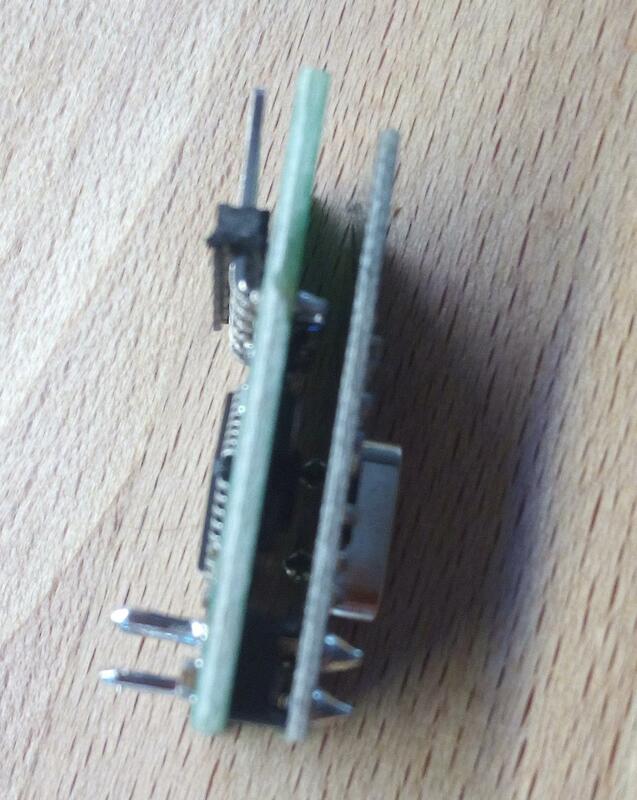 You can use the delivered magnet, but the one in the BOM is much smaller. So I glue that on the window instead. 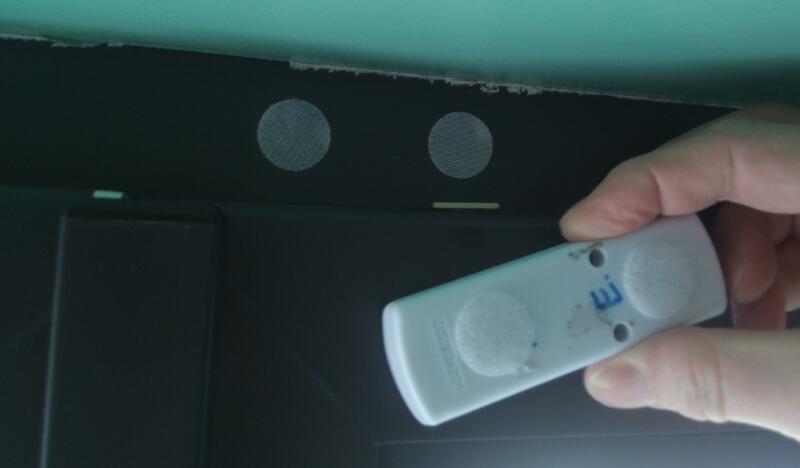 The module can be fixed on the window with two of the loop/hook (velcro) pads listed in the BOM, which works far better that the self-adhesive tape that comes standard on the alarm module. Cut the two plastic studs. 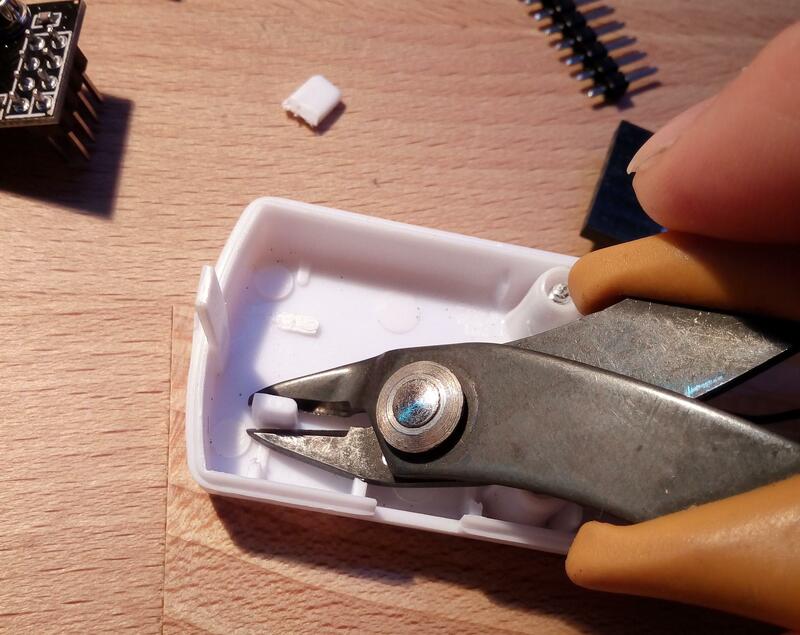 Carefully cut the edge of the round plastic border away, until you can lift the buzzer up. 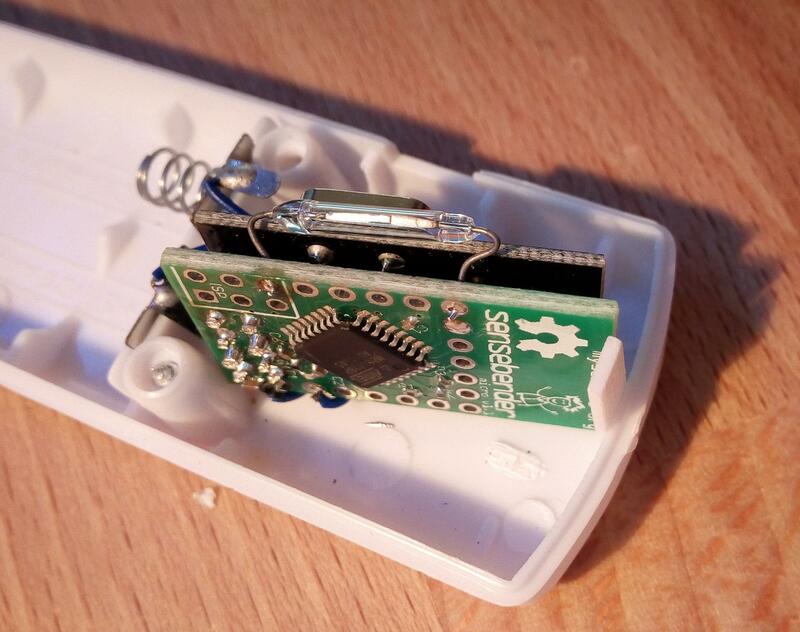 Do not leave the buzzer in place; it would cover the antenna. 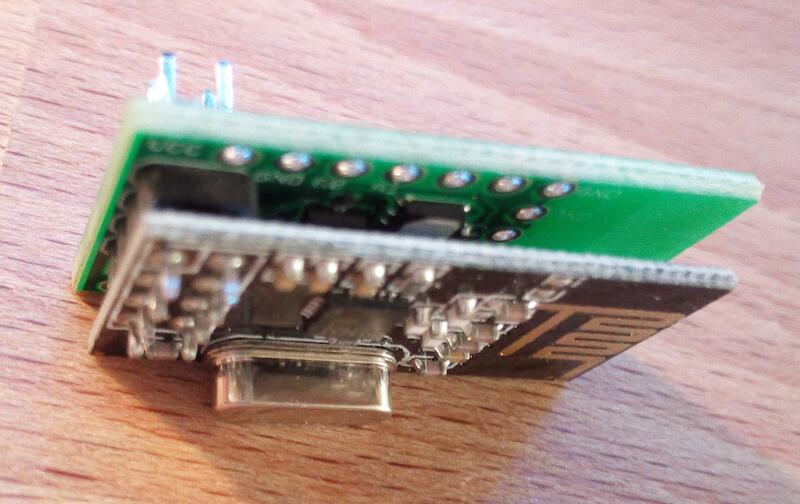 First, solder a rectangular header to the Sensebender for programming it. Not all pictures show this header, but it makes uploading the sketch much easier. See the last picture. 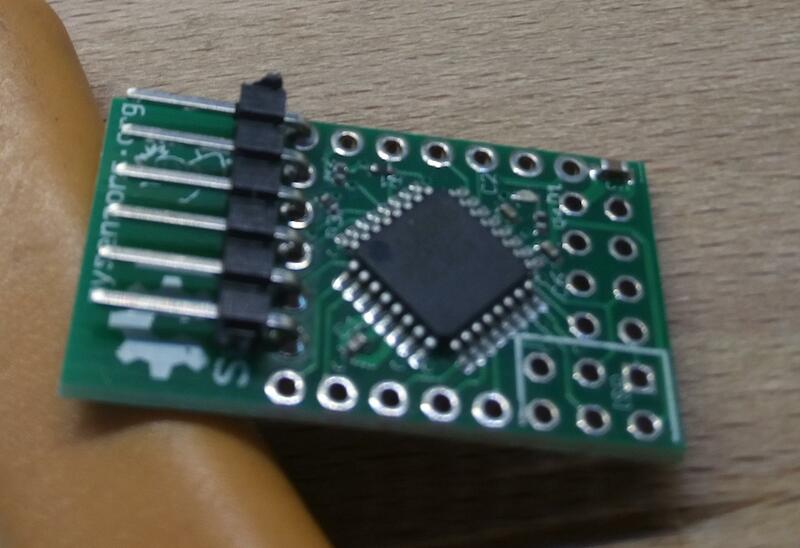 Solder the SensebenderMicro to the NRF24L01Plus, so that they are close together. Cut the pins short, they are too long. Salvage the reed contact. Careful! The glass breaks very easily if you bend the wires. 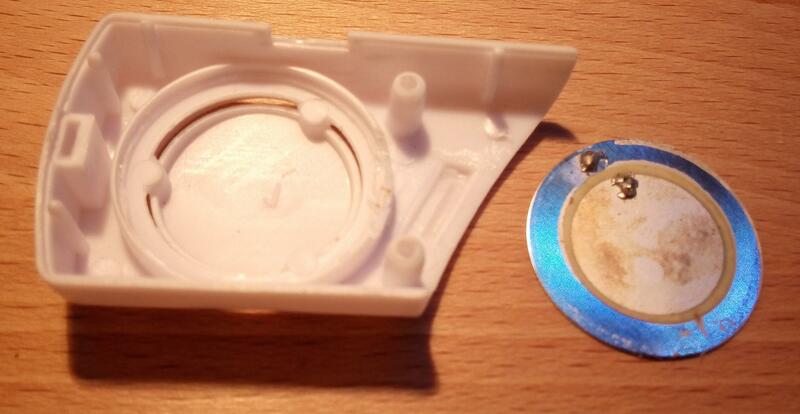 This picture shows the original electronics inside the alarm module. 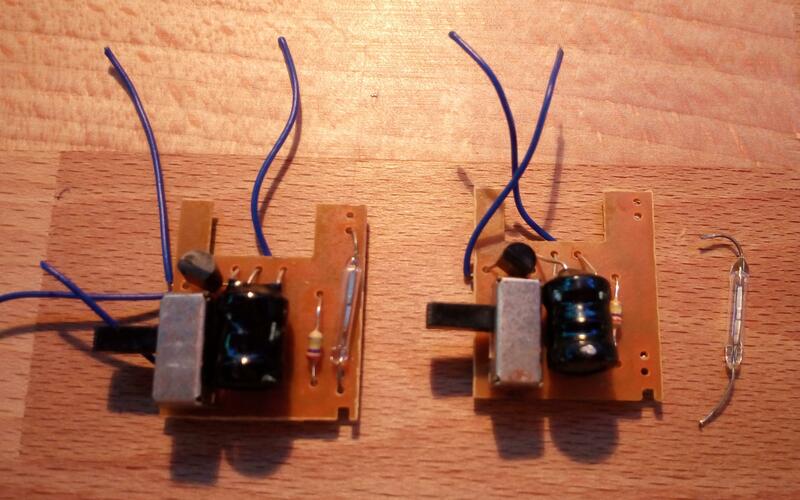 The reed contact goes between D3 and ground (no resistor needed). Mount the module with the hook/loop (velcro) on the window. I always use rechargeable batteries. 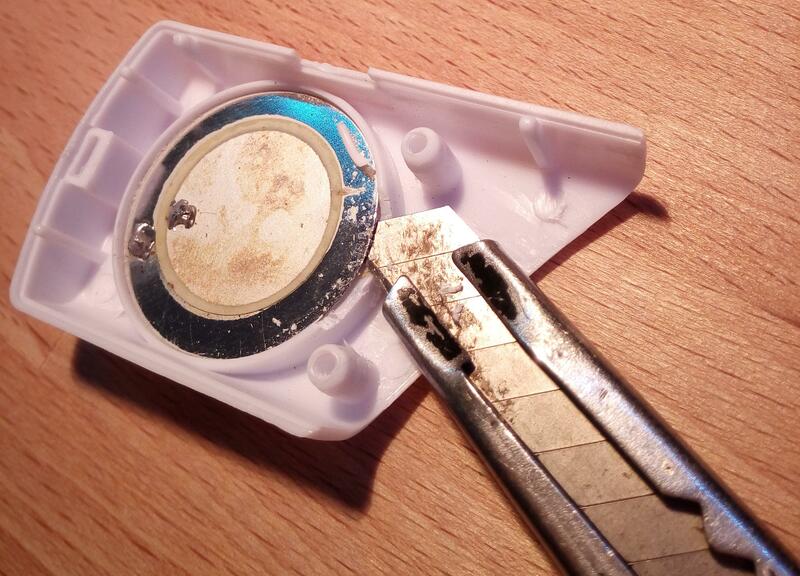 As a consequence, the batteries condition is always indicated as less than 50%. Not all alarm modules are the same. The ones I had first, only barely fit a sensebender micro, the ones I ordered later, have a more shiny plastic, and fit a Arduino mini pro - something to try out later.